BRYAN EATON/Staff Photo. Staff at Keller Williams real estate shovel mulch at the Newburyport YWCA which was donated by Cole Landscaping. 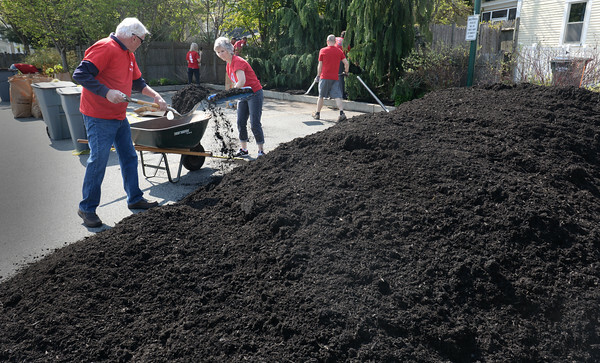 They were having a "Red Day" a nation-wide effort in their company to spend time volunteering in the community, which they did by weeding, doing leaf pickup and spreading the mulch.